There’s nothing like arriving on the National Mall for the very first time. Seeing the Washington Monument rise majestically to the sky, surrounded by the stately U.S. Capitol Building at one end and the dignified Lincoln Memorial at the other, it’s hard not to think of America’s history. Explore the swath of land nicknamed “America’s front yard” and you’ll find inspiring monuments and memorials, museums and family fun. The National Mall is America’s most-visited national park, where the past, present and future come together. The monuments and memorials in this park honor American forefathers and heroes who paid the ultimate sacrifice in service to this country. From the “I Have a Dream” speech to the AIDS Quilt, the Mall is the national stage where movements and celebrations take place, where people gather to have their voices heard. But the National Mall is much more than a lesson in history through memorials made of stone. 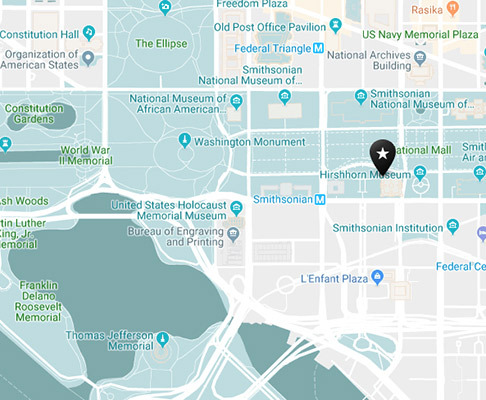 East of the Washington Monument lies world-class museums with something for everyone, including the Smithsonian National Museum of African American History and Culture, the newest addition the Mall’s impressive lineup of museums. Pause for remembrance and learn about the fragility of freedom at the United States Holocaust Memorial Museum, interpret the meaning of original Da Vinci and Van Gogh works at the National Gallery of Art, soar into the stratosphere at the National Air and Space Museum or pick your own adventure from the many other Smithsonian Institution Museums. Wander along the wide, pedestrian-friendly, tree-lined boulevards and take in the history and scenery of America’s front yard, or admire the scenery during the comfort of a Big Bus Tour. There’s always something to see and do, as the Mall plays host to events of all sizes almost every week. Experiencing the Mall at moonlight, playing kickball on the turf, picnicking by the Lincoln Memorial, visiting the District of Columbia War Memorial. The National Mall is centrally located in Washington, DC, stretching over 2 miles from the Lincoln Memorial on the west end to the U.S. Capitol on the east end. We recommend you ride the Metro to the Smithsonian stop on the Orange, Blue and Silver lines since parking is limited along the Mall. If you’d prefer to bike, Capital Bikeshare has multiple docks located on or near the National Mall grounds. And once you’re on the Mall, you can take the DC Circulator National Mall route between the different sites. There are public restrooms, all with handicapped accessibility, located by the Jefferson, FDR, MLK, Lincoln and World War II memorials, as well as near Sylvan Theater on the Washington Monument grounds. All of the museums on the National Mall also have ample public restrooms. If there’s a DC neighborhood that’s a must-see, this is it. The Lincoln Memorial, the Washington Monument, the World War II and Vietnam Veterans memorials – there’s always something new to appreciate at these timeless places. Click below to learn more about the Mall, where everything is priceless.